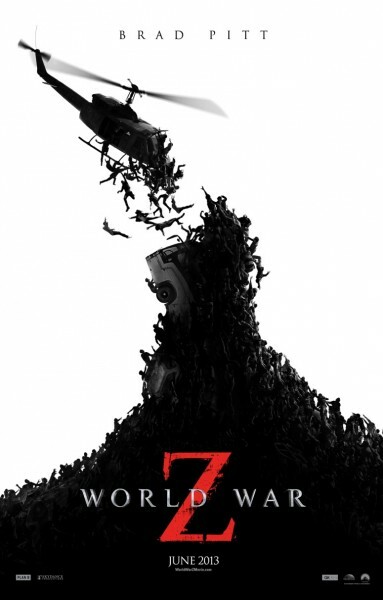 Marc Forster's World War Z which is due to release in June 2013 has released a new poster online as per post on Collider. The film stars Brad Pitt as the main character who is in motion to stop the zombie outbreak that threatens the population of human around the world. We may have seen zombies so many times in other movies like Resident Evil or Warm Bodies, even in TV series such as Walking Dead and we might say that we have seen enough of zombies and just don't bother to see this one. See the trailer below and think again if you will let this movie slip away in your favorite cinemas. Please take note that a new trailer for World War Z is due to be released very soon. So watch out.